Oil and coal giants are exploiting a lack of conflict-of-interest protection at UN climate talks to push for continued fossil fuel use despite its contribution to harmful climate change, several sources have told AFP. As policymakers from around the world prepare to gather in Poland for the COP 24 summit to finalise the Paris climate promises, officials and campaigners said that groups representing big energy are free to lobby with little or no oversight at the negotiations. Under the United Nations Framework Convention on Climate Change (UNFCCC), non-state actors may apply to join the process, some in the form of so-called business-interest NGOs. They may then participate in sessions as observers, walking the same corridors as the very policymakers who must decide on the future of our planet. Under the Paris Agreement, the world’s nations agreed to limit global warming to “well below” two degrees Celsius (3.6 degrees Fahrenheit). The UN’s top science panel concluded last month that the rise in temperature should be capped at 1.5C to avoid severe impacts. Its report called for a radical drawdown in fossil fuel usage, starting as soon as 2020, and said it would need to be halved by 2030 to meet the 1.5C target. And yet, despite the scientific consensus that greenhouse gas emissions must be slashed in order to avoid climate disaster, the world’s only international action plan still reserves a seat for major polluters. Parallel UN processes, such as the World Health Organization’s Framework Convention on Tobacco, have conflict of interest protections woven into their text. “Everyday we learn more about what big polluters continue to do to undermine climate policy, yet their trade associations are still free to stalk the halls at the UNFCCC,” said Jesse Bragg, from Corporate Accountability, a group that works to expose conflicts of interest. In January, the African Group of Negotiators (AGN) bloc submitted a formal request to add specific conflict of interest protections into the UN process. The text warned that conflict of interest “may arise when a non-party stakeholder with a concern or aim that directly or indirectly involves limiting or influencing specific climate-related scientific understanding, actions or policies, is actively participating in the UNFCCC”. It said the problem of fossil fuel representation in climate talks was so serious that it “threatens the integrity and legitimacy” of the Paris accord. Sources close to talks told AFP that the submission was shot down by developed nations during an intersessional meeting in May, and that the very existence of discussions surrounding it was scrubbed from official records. The final text stated that nations agreed “the importance of enhancing the engagement of non-party stakeholders… and took note of the diverse views expressed”. A senior negotiator told AFP only that there had been “some amendments” to the submission. Ovais Sarmad, deputy executive secretary of the UNFCCC, said that all non-state observers to the climate talks are vetted according to rules agreed by countries themselves. “No particular interest group influences the decision-making process,” he told AFP. The European Parliament last month voted for a resolution supporting a conflict of interest policy in climate talks. Earlier this year a group of 16 environmental groups made a separate submission to the UNFCCC calling for better conflict of interest protection. They pointed out that the UN only requires two things from observers: that they be legally registered as not-for-profit, and that their work include issues related to climate change. Of the more than one dozen business-interest NGOs AFP contacted over this story, only a handful provided comment. A spokeswoman from the World Coal Association said it “would like to see practical solutions to reduce global emissions”. Myron Ebell, a high-profile climate sceptic who headed up US President Donald Trump’s environmental transition team, said his business-interest non-profit — the Competitive Enterprise Institute — was not attending COP24. Ebell said he “didn’t see much point” in going to the climate talks, which he described as an “organised cabal”. “It’s not clear to me what the role of the big oil companies is, and if I were a supporter of the framework convention I think I would be on the side of those groups that say the oil companies should not be allowed to be there,” he told AFP. 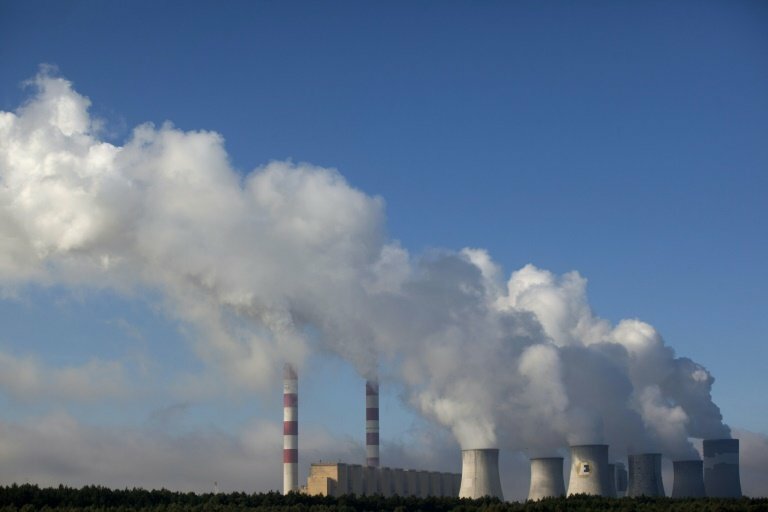 Just days before the COP was due to start on Sunday, host country Poland announced that three state-run coal giants would sponsor the event. They include JSW, which describes itself as “the European Union’s largest coking coal producer” and PGE, which operates the world’s second-largest fossil fuel power plant. “At a time when the world’s leading scientists warn that global temperatures are on course to a ‘climate catastrophe’, the fossil fuel industry’s lobbyists are preparing to be at the very heart of UN climate negotiations in Poland,” Harjeet Singh, global lead on Climate Change at ActionAid International, told AFP.